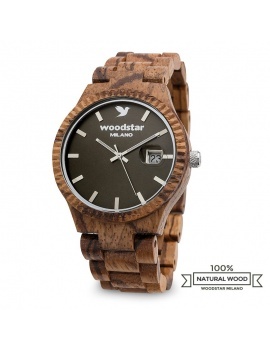 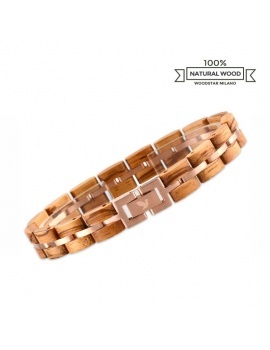 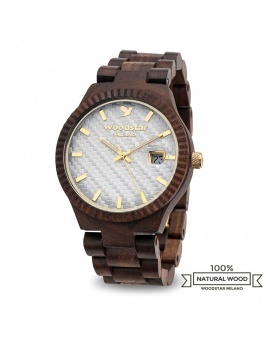 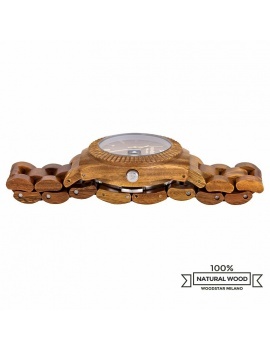 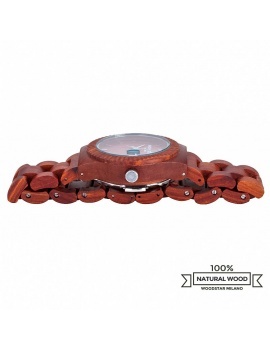 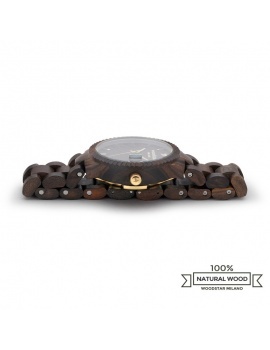 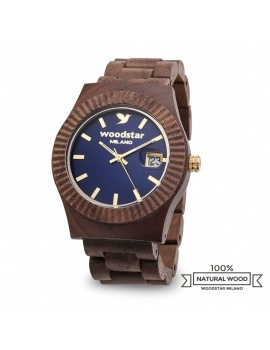 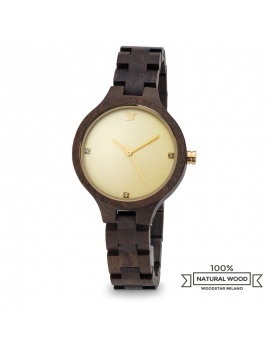 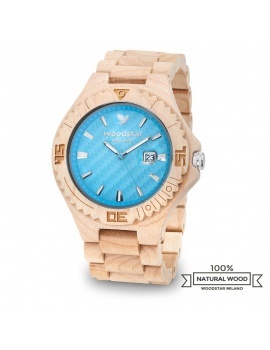 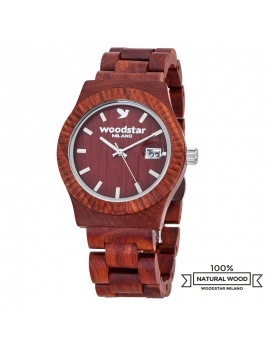 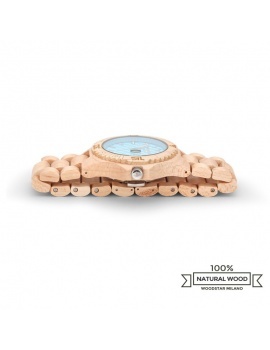 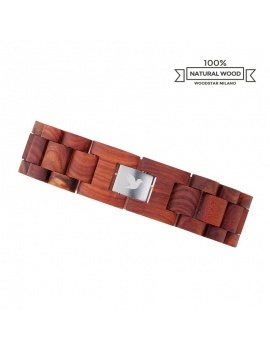 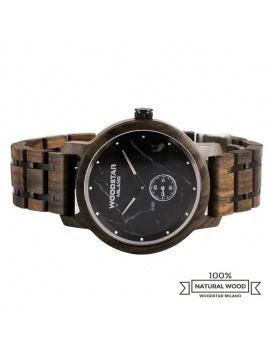 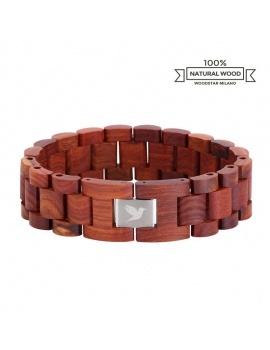 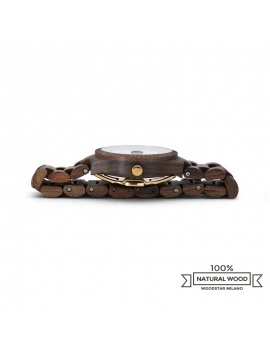 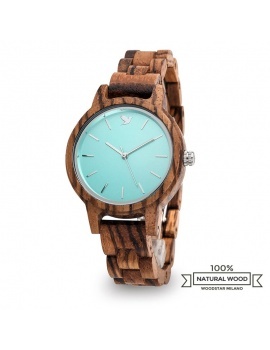 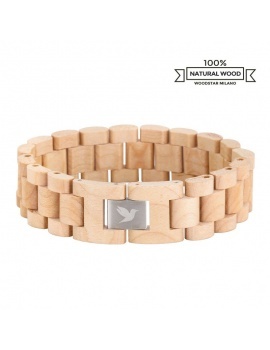 The "Ticuna" model is a wristwatch made of solid Kosso wood, with medium colours that fade from Brown to rosé. 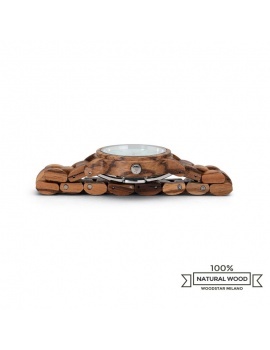 The structure of the watch is made of stainless steel with enveloping wooden finishes which contrast with the dial made of white marble, while the hands and the interior details are of rosegold colour. 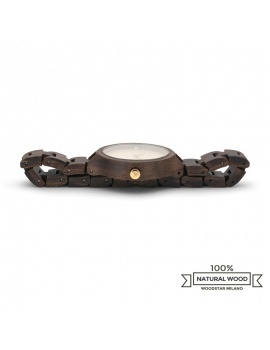 The second hand is separated and positioned individually at 6 o'clock. 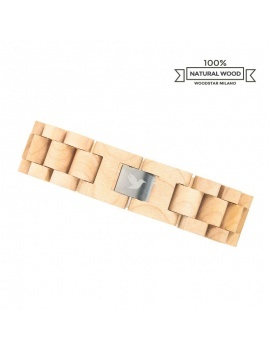 The minimalist design of the product is modern and elegant and the raw materials used are of high quality. 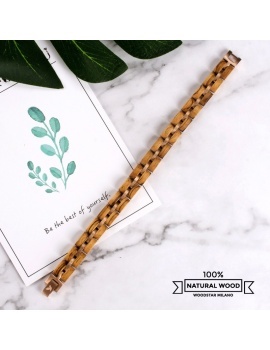 The crown to adjust both the time is steel and is branded with the logo of the brand, while the closure of the strap is also in steel retractable, so as to give a smooth continuity to mesh wood.